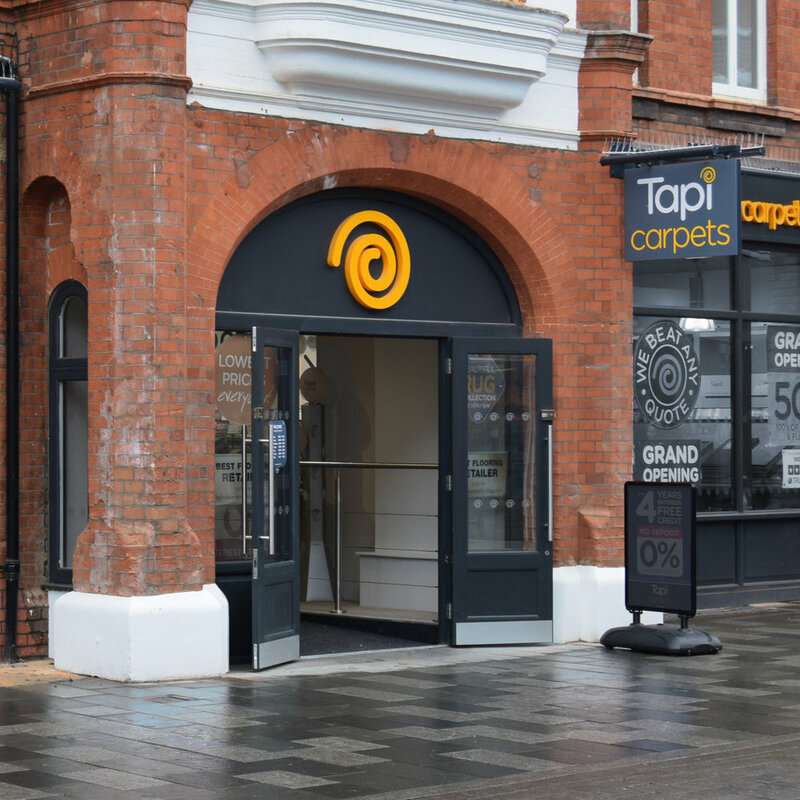 Tapi Carpets & Floors is the fastest growing retailer in the UK and has been created with an aspiration to revolutionise carpet and floor retailing. Widd are pleased to have been chosen to assist Tapi with their external illuminated signage project. We have ensured Tapi were able to deliver an accelerated opening programme. We did this by providing a fast, efficient and customer focused service and are happy to continue to play a part in this exciting venture which has a significant number of locations still to come. Lighting solution - the illumination gives a warm appearance to the store. Provided by low voltage LEDs.